In 1993, a 1960s-set family film about a group of baseball-loving kids charmed youngsters and adults alike, and turned The Sandlot into a bona fide hit. Now, 25 years later, Scotty Smalls and the rest of the gang are getting the ultimate pop culture recognition as toy giant Funko has announced a line of POP! toys in the cast’s likeness. A black-eyed Smalls, Benny the Jet, Squints, and Ham (pointing to the fences) will all get their own vinyl figures—which you can also buy as a set—but that won’t be the end of The Sandlot fun. 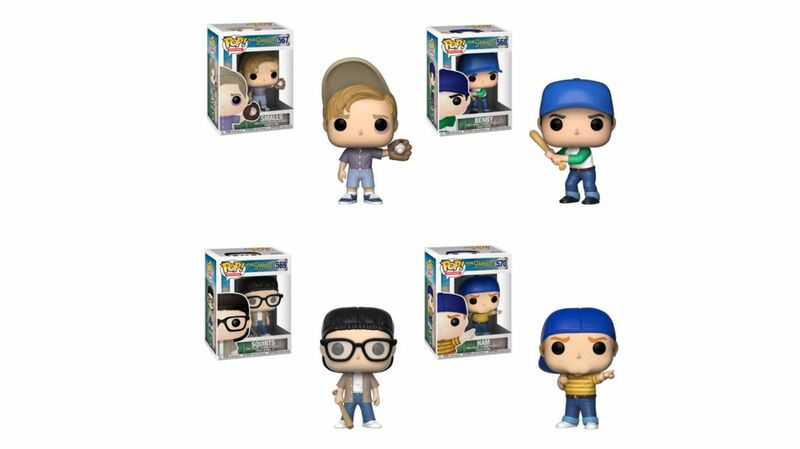 GameStop shoppers will have exclusive access to The Beast, the baseball-chowing neighborhood hound, while Target will have a special two-pack featuring Squints and Wendy Peffercorn. While the film’s official 25th anniversary is this month, you’ll have to wait until June to get your hands on these toys. But once you've got them, where, when, and how often you repeat the phrase “You’re killing me, Smalls” is completely up to you.